abbage should have fresh and crispy leaves without brown marks, damage or worm holes. The head should be compact and firm. 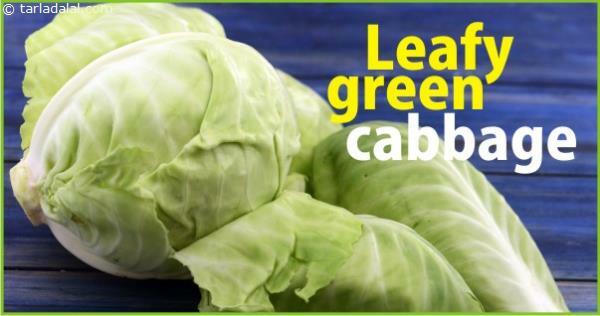 The colour of the leaves indicates the flavour and aroma – greener the cabbage the tastier it will be. Plus, the ones with green leaves emit less of a bad odour while cooking compared to the white ones. Although pre-cut and shredded cabbage is commonly available in supermarkets these days, it is better to avoid buying cut ones because cabbage starts losing vitamin C once it is cut, even if it is tightly wrapped in a plastic sheet.